New countertops are an affordable way to dramatically improve your kitchen. Are you looking to make some small, but meaningful improvements in your kitchen? Improvements that look great, add function and won’t break the bank or inconvenience you with weeks of construction? Kitchen countertops are an excellent solution for the homeowner who wants to remodel but doesn’t want to go through full-scale construction just yet. Maybe you’ve got some old laminate counters that are looking pretty worn out? Or you’d just like to upgrade to a more modern material? With so many materials, colors and finishes available when it comes to countertops, choosing this central piece of your kitchen can be overwhelming. Our countertop installation expert at Ohio Home Doctorwill help you pick the perfect countertops for your taste, budget and lifestyle. What Material Should You Choose For Your Kitchen Countertops? There are definitely some specific kitchen countertop materials that have become increasingly popular in recent years such as granite, but this doesn’t mean that there is only one perfect countertop for your kitchen. Perhaps you already have a material in mind, now you need to find out if it comes in the color you prefer, and if it is priced within your budget. The various countertop options will all drastically alter how your renovated kitchen looks, and with so many excellent choices available, we can help you to find the ideal countertop for your home. to catch debris either. Finally, Corian is an excellent option if you wish to experiment with vibrant colors or patterns, as you are not limited by the appearance of a natural material such as granite or other stone. Currently one of the most popular countertop option for a luxurious kitchen remodel, granite brings the incomparable beauty and durability of natural stone to your kitchen. Each piece of granite is unique, with exquisite colors and patterns to choose from. These countertops stand up very well to heat, splashes, knife nicks, and other wear and tear that a countertop is exposed to. Two Granite Countertop finishes are available: a polished, shiny finish; and a soft, matte honing finish. Granite countertops will need to be resealed periodically to keep them looking their best and to prevent staining. If you are limited by a strict budget then granite countertops may prove to be a little more expensive than other options but if you find a contractor that maintains good working relationships with some local suppliers there are often good deals on granite countertops to be had. One downside to a granite countertop that should be mentioned is that they are quite heavy. 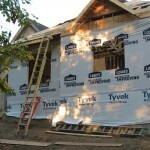 If you are switching from a laminate countertop to granite you may need to reinforce the framing that will support it. Your contractor installing the new countertops will be able to tell you if this is required. Laminate countertops are probably the most familiar kitchen countertop because they are affordable and widely available, but thanks to modern finishes and styles, laminate does not have to be dull! Laminate is versatile, dependable, and much less expensive than other countertops. Made from paper, resin and particle board, laminate countertops can be made to mimic butcher block, stone, and other pricer countertop options. These countertops are lightweight and easy to maintain. Don’t expect a long-life out of your laminate counter-tops. If you love to cook and use the kitchen often, then 5-10 years is a good rule of thumb. Concrete countertops are probably the most versatile option. They can be cast in any shape of counter, and tinted almost any shade you wish. Many homeowners choose to add unique inlays such as stones, glass fragments, or shells to further add flair to the countertops. Concrete stands up very well to heavy use. Like granite, concrete countertops require periodic resealing to prevent staining. It is also very heavy, and requires a sturdy cabinet base. How Long Does A New Kitchen Countertop Installation Take? Your time is valuable and we respect that. After you have decided on your countertop materials and we have taken all the necessary measurements and created the template we can source your materials. Waiting on materials (especially items like granite or other stone) can often take longer than the actual labor and installation time. Some homeowners, after seeing the quality of our work opt to replace other countertops in their home as well, this could include a bathroom, or a laundry room, even a downstairs bar for that matter. These extras if you’ve asked us to do them will add to the installation time as well. 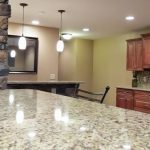 What Does New Countertop Installation Cost? Certainly price is always a factor when remodeling your kitchen. 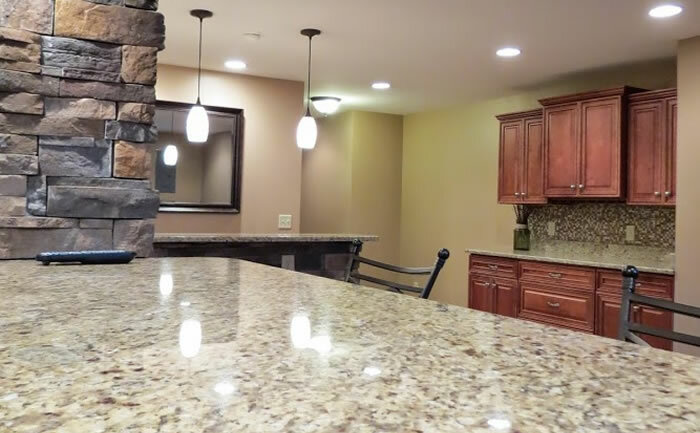 Our experts will work with you to find the perfect countertop for your needs and budget. 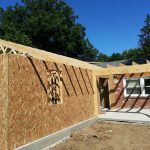 The final cost will ultimately depend on your choice of materials, the size of the countertop we are replacing and any other special considerations that need to be made. It’s tough to give a ball park cost on new countertops without actually seeing the location of the install. For materials we can tell you that countertops materials are estimate by the square foot. This can vary from as low as $10 per square foot for laminates all the way up to $150-$200+ for luxury materials such as granite or marble. Why Choose The Ohio Home Doctor For Your Kitchen Countertop Project? When you choose the Ohio Home Doctor team to replace your kitchen countertops you are partnering with a small team of craftsman, all with the common goal of making your home a better place. Every employee strives to be the best kitchen remodeler he or she can be and will treat your home as if they were working on their own. If you’d like to receive an estimate to replace your kitchen countertops please give us a call 937-605-6882 or fill out our contact form and we’ll get right back to you.